This is a quick casual game for anybody who loves plants, particularly flowers. It will help you learn the names of popular plants and flowers. It will also give you ideas of want to grow in your own garden. Its can be played by the total beginners or keen gardeners alike. We have hundreds of pictures of stunning plants with beautiful flowers for you to learn and identify. We stick to common English names for the plans and don't confuse you with Latin names, species or genus information. 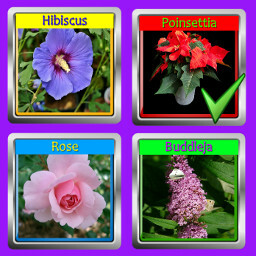 This app is not a plant encyclopedia, its a quick gardening game to help you learn the names of popular flowers that you can grow in your own garden.